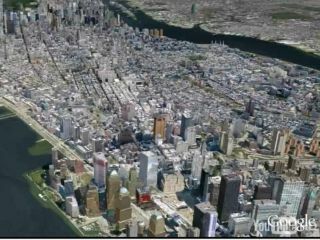 Google Earth's vision of New York City - is the search giant about to make a major acquisition of travel info specialists ITA? As Britain's air travel chaos continues today with no sign of the volcanic ash problems abating, the latest news from Silicon Valley is that Google is looking to buy airline IT specialists ITA for a cool $1 billion. Google is looking to snap up the airline IT and services provider according to Bloomberg, with reports citing three people familiar with the deal. ITA is said to be looking for around $1 billion. However, nothing has yet been officially confirmed or denied by either party. ITA provides tools to help users find online flight information. The company provides the data behind leading travel sites such as Orbitz, Bing Travel, Kayak.com and CheapTickets. It is easy to see why Google might want its data and expertise, in order to develop detailed travel search features. The acquisition, should it go ahead, is clearly going to be an attempt to claw back market share in the search space, with Microsoft's own integration of ITA Software having already given Bing an edge over Google in travel information search.